Rowing has become a regular outlet for me. 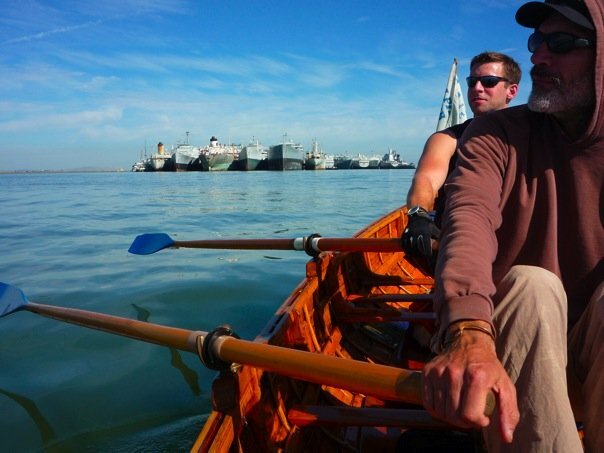 I row the wooden rowboats that the Dolphin Club of San Francisco makes available to members. 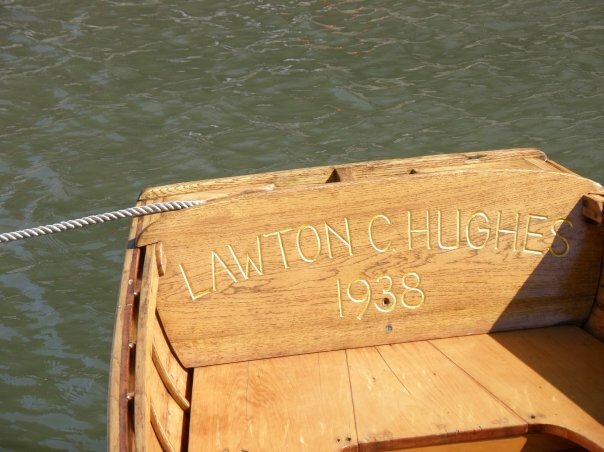 All you have to do is join, take a rowing skills course, and you can row a boat that was built prior to WWII. Sound amazing? It is. Most of the boats were built in the Golden Era, this is the happy period between WWI and WWII. 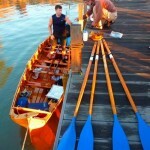 Many are Whitehall class wooden row boats that are varnished and equipped with 8-9 foot all-wood oars. Some of the boats have a single rowing station, others have 2 rowing stations. Most weekends are rowing weekends for me. I pick a point in the San Francisco Bay and head toward it. Sometimes the currents change my path. 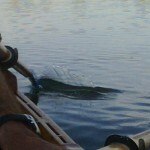 I see dolphins during most outings. The Bay lacks sharks so there is a plethora of seals and dolphins that fish the Bay. Rowing puts the entire bay at my fingertips, without the roar of a gasoline motor or being at the mercy of the wind as in a sailboat. In a rowboat I can go anywhere in the Bay, and I like that very much. This past weekend I was invited on the Dolphin Club yearly Sacramento Row. I immediately liked the idea — it would be light-hearted, challenging and fun. It also met my requirement of having a tangible start and end. 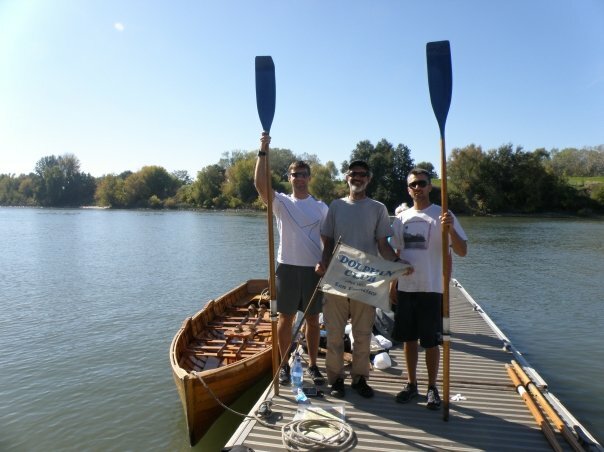 Rowing to Sacramento, I found out, is a tradition that goes back 40 years or more, and is currently carried forward by our master boat builder, Jon Bielinski. 2 men rowing, 1 man navigating. We observed a constant rotation of 40 minutes rowing, 20 minutes navigating/resting. 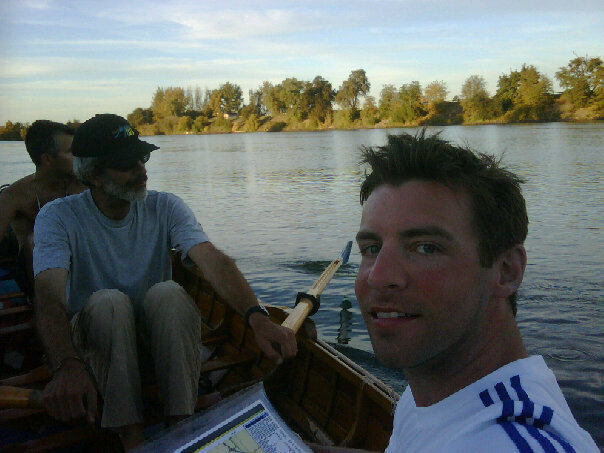 We set out Saturday morning at 3:45AM for 3 days of difficult upriver rowing. We rowed 14 hours Saturday, 12 hours on Sunday, and finished with 4 hours on Monday. We rowed with the flood (current with us) Saturday morning and Sunday morning. 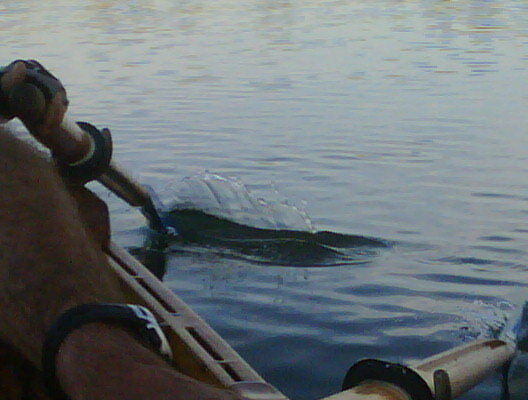 We rowed with the ebb (current against us) Saturday afternoon, Sunday afternoon and Monday morning. here is a day by day. Saturday started out easy and dark. 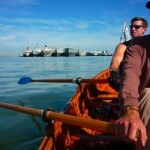 After 2 hours of rowing we had already left San Francisco and were past Angel Island heading north toward San Pablo Bay. The fog fell over San Francisco to cover our wake. Looking back was no longer an option. The only clear waters lay ahead. 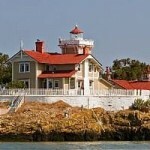 We reached the San Pablo Straight lighthouse before day break and headed West toward Benicia where we stopped for a 20-minute break. We looked at the map and agreed to take the scenic route around the decommissioned warships in the “Suisun Bay Reserve Fleet” (aka Ghost Fleet). These old gals were beautiful and very large. The next stretch of rowing seemed to stretch on forever. We rowed port Chicago, a decommissioned naval base, and were spectators to a high-octane jet ski race. It seemed like we’d never reach Collinsville. Around 6PM we did. It was amazing to see Lou waving at us in his neatly pressed shirt and loafers. We stayed that night in Lou’s house. 4 people from the Dolphin Club drove 3 hours roundtrip to wish us well and eat dinner with us. They left pretty early so we could fall into our beds. What a cool group. We slept well this night. Sunday we rose before dawn for a breakfast by Cynthia and Lou in their comfortable home. The saw us off as the sun rose. Rowing began easier than Darren, Jon or I expected. From my side, my glute and leg aches had totally subsided. We rowed past mooing cow pastures and slowly turning wind turbines. By 10AM the wind increased from 0 mph to 15 mph. Just in time we diverted into the narrow waters of the sloughs which are buffeted by the wind by a high earthen levy on either side. Bicycles waved and encouraged us as they sprinted down the road-covered levy banks. At around 3PM we looked for a lunch spot. We fastened the Hughes to a half-submerged stump on shore and scrambled to shore. I’d eaten so many GU’s that I was too amped up to rest, so I swam across the Sacramento river using the breaststroke because of my recent Lasik surgery. We rowed into the night, and as dusk fell I was getting pretty sore in the glutes. Our rowing shifts seemed to occur faster and our 20-minute rest segments shorter. After 30 hours of rowing in 2 days my body was fatiguing. We didn’t talk much for that last hour and just settled into the last remaining pulls that were left before we docked the Hughes for the night. Our attitude totally changed when we arrive at Freeport, a lively riverside rest stop replete with a wonderful slip for us and a full bar and grill. We stowed the boat for the night and drank draft beer. The hardest portion of our row was over and we felt like celebrating in those comfortable restaurant seats. Darren and I even had a scotch. It was perfect. We slept next to the Hughes on the levy grass, hoping the sprinklers wouldn’t wake us at 6AM with a shower. that were cut down to build the Hughes have already regrown larger and thicker than before and the Hughes is still around. These boats are a renewable resource in the real sense of the word. In our throw-away culture of short-lived cell phones and car, it’s nice to care for something that will most certainly outlive me. Our 3-man team was strong, upbeat and had so many good stories. 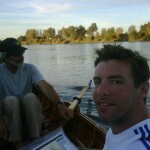 Rowing with Jon Bielinski was an absolute joy. He helped built and/or refurbish most of the boats in the Dolphin Club and told us story after story about rowing and building boats. Before this row I did not know Darren. As fate would have it, it turns out that Darren have worked for the same executives at Cisco, he as a recruiter. Small world. As always, special thanks to my team, our crew of supporters, the Dolphin Club, and to GU for once again fueling my tangible goals. great description Neal. next year we’re taking scotch instead of GU. think we can get Macallan to sponsor us?